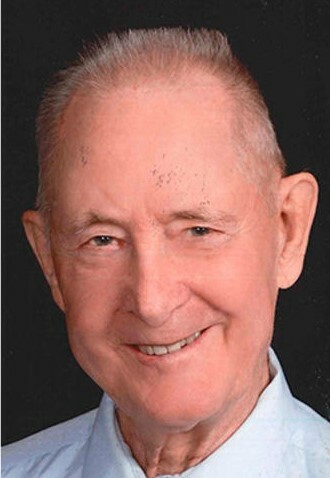 Kermit Charles "Koke" Emberg, 90, of Midway Township, gently passed away, at peace on Thursday, March 28, 2019 in his home. Koke was born in Proctor, MN on July 21, 1928 to Clifford, Sr. and Mabel Helmer Emberg. He graduated from Proctor High School, class of 1946. He was a U.S. Marine from 1951 to 1953, a veteran of the Korean War. He married Patricia Ann Benn in Arlington, VA on April 10, 1954. He owned a local gas station and later worked various area jobs. He was self-employed with outdoor businesses of gravel hauling, land excavation, and operating his own sawmill. Koke planted and cared for his own tree farm on his property. He enjoyed everything outdoors from Alaska and Canadian fishing and hunting, piloting his own airplane, camping on the Temperance River with family and friends, and observing and feeding the many creatures and animals outside his house's inviting sun room windows. He was a lifelong member of the former Immanuel Lutheran Church, Proctor, MN and a life member and patron of the Proctor Area Historical Society. Koke was preceded in death by his wife, Pat in 2016; his parents; his sister, Joyce (Marvin) Brenna, and his brother, Clifford "Bud" (Carol) Emberg, Jr. He is survived by his brother, Duane "Buck" (Joan) Emberg of Australia; nieces and nephews, including Jan (David) McLeod of Midway Township, Nancy (Jack) Eilefson of Midway Township, Kris Brenna Lyons of Moose Lake, MN, Kathy Brenna Wolffe of Duluth Township, David (Christine) Brenna of Proctor and Tom (Jan) Emberg of Arkansas; his furry friend and best cat ever, Buckshot II; and many extended nieces, nephews, great nieces, great nephews and friends. The family would like to extend a special thank you to St. Luke's Hospice and friends of Koke's for all their kindness and compassionate care. Visitation 10 a.m. until the 11 a.m. funeral service Friday, April 5, 2019 at The Landing, (formerly Immanuel Lutheran Church), 614 2nd Street, Proctor. Rev Peter Kowitz officiating. Military honors accorded by the Duluth Honor Guard. Burial in Oneota Cemetery. Memorials may be directed to the Proctor Area Historical Society, the church of your choice, or plant a tree in Koke's honor. Arrangements by Williams Lobermeier Boettcher Funeral Home.